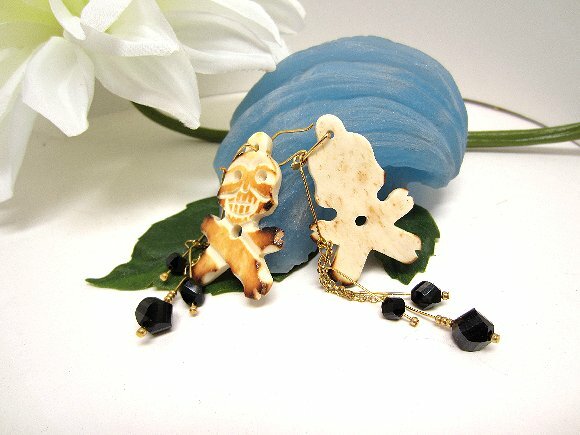 These Day of the Dead Earrings feature flame-antiqued skull and cross bone focals, hand carved from found bone (no animal cruelty involved here). 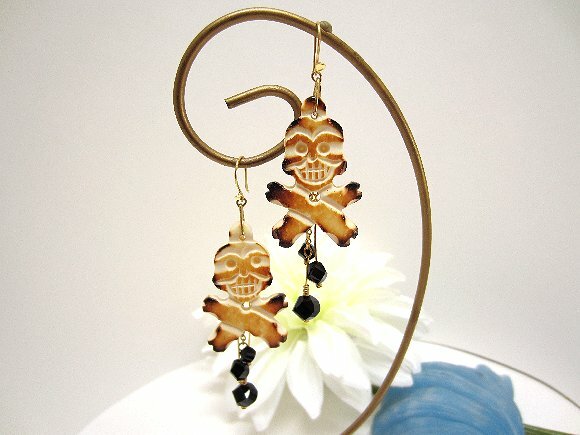 I've used black spiral-cut glass bead dangles to add to the aura of spooky glamour. The Day of the Dead earrings end about 3-7/8" from the tops of their vermeil (22kt gold plated over sterling silver) hooks. The grinning skulls are the Very Last Word in macabre. 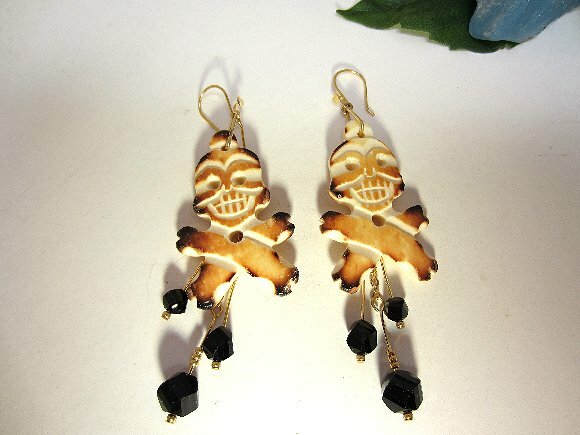 All in all, these are among the eeriest of Day of the Dead earrings ... Naturally, they're from SPARKLE PLENTY.